Regular readers will know I have a soft spot for what is unofficially known as ‘in/out’ themes. 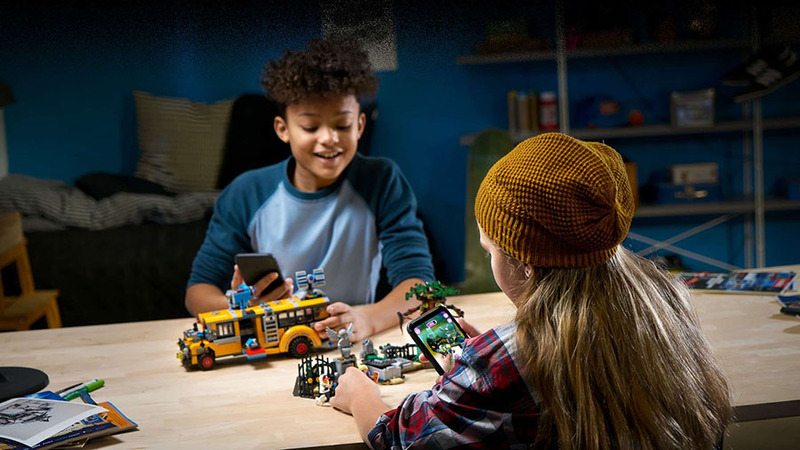 These are story heavy LEGO® themes, not tied to an existing IP and on a slightly smaller scale than ‘Big Bang’ themes like NINJAGO, NEXO KNIGHTS and Legends of CHIMA. These ‘in/out’ lines have given use things like Monster Fighters, Ultra Agents, Galaxy Squad and Dino. Because they are original ideas, the sets and the minifigures are often amazingly inventive and filled with play features. It’s been a while since the last original story theme, with the focus being more on licensed sets. But the Hidden Side not only introduces a new and original world to build, it also incorporates AR technology. 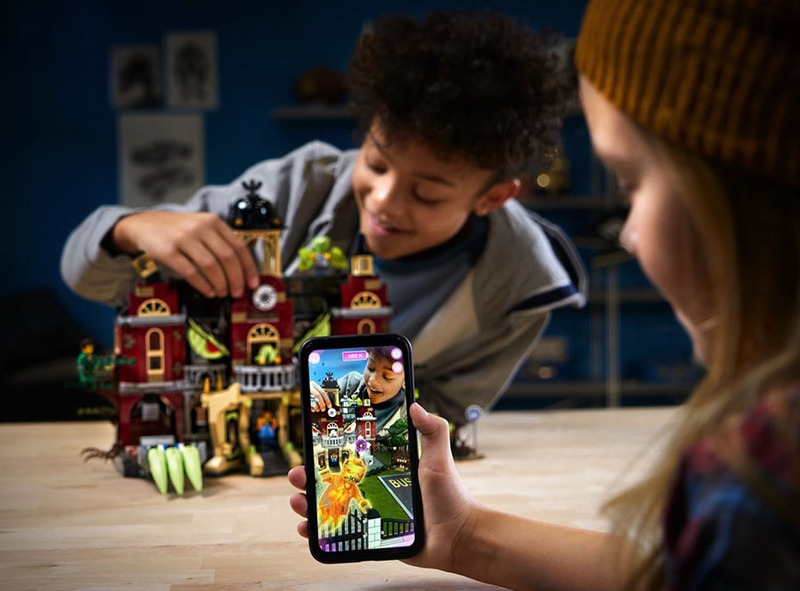 LEGO have dabbled with smartphone integration before NEXO KNIGHTS included scannable shields, which unlocked powers in a NEXO KNIGHTS game, Ultra Agents set included special elements with could be used on smart device screens to unlock things in an accompanying app. 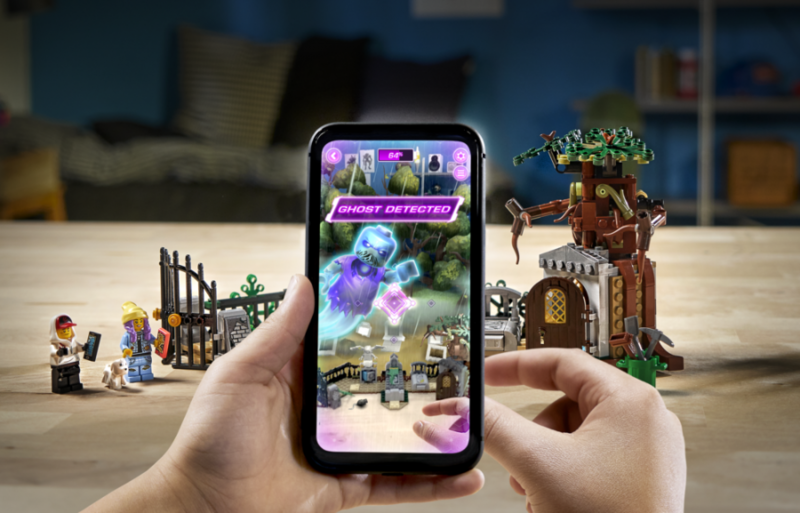 There is also a similar AR experience for Apple devices with overlays animated features to certain sets. 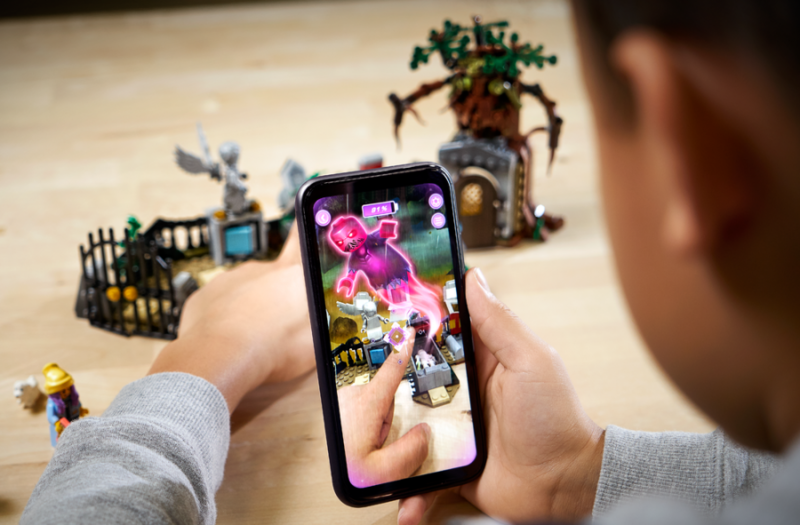 However the Hidden Side is a unique new experience, the sets don’t rely on the app to be built or played with and feature numerous play features. Once they are integrated with the app, an new play experience can be enjoyed. The storyline is a mixture of Stranger Things and Ghostbusters, which follows the adventures of teen bloggers Jack and Parker. Who use their phones to discover unseen things in the town of Newbury, they can uncover hidden mysteries and catch mischievous spooks. The Hidden Side will launch in August with eight different play sets, of varying sizes and price points. All of them will be able to be brought to life with the Hidden Side AR Companion app.